With it being my third year out at the San Antonio Recreation Center, I thought I knew Lightning in a Bottle like the back of my hand. This year, the team over at Do LaB exceeded expectations with a collection of new, interactive activities to match the stellar musical lineup, all while keeping the same magical feeling that LiB encompasses - alive. After thriving in a dried-up lakebed for five days straight, it's apparent that the impact that LiB had on each attendee is unshakeable. A festival full of activities, such as after hours karaoke and LiBingo, created a playground for people of all ages to interact with one another. Some new activities that were also a hit this year were the Do-LaB Soap box derby races and the Obstacle-course bowling alley, which were able to be interacted with while live music from stages like the Grand Artique and the Woogie played in the background. The music, as well as the stages, also made this fest a playground of experiences. The Woogie stage was changed up a bit this year, with the addition of an assortment of colorful tubes placed behind the DJ booth. To our amazement, these neon tubes contrasted beautifully with the classic multi-colored Eeperts that make the Woogie what it is. Artists like Four Tet, Jonas Rathsman, Guy Gerber, and Lee Burridge animated the Woogie's new look with their soulful, unforgettable sets. Walking around LiB felt like I was in some sort of alternate reality. There are delicious food and creative clothing vendors all around, The Temple of Consciousness and Learning Kitchen where one is able to listen to motivational, knowledgeable, and informational speakers and learn amazing food recipes, Lightning in a Paintcan where you are able to witness works of art being created right before their eyes, The Village where one can learn how to live and sustain a village, and much more. The list is truly endless, which makes this festival the perfect place to step out of your comfort zone and feel the refreshment that new experiences bring. 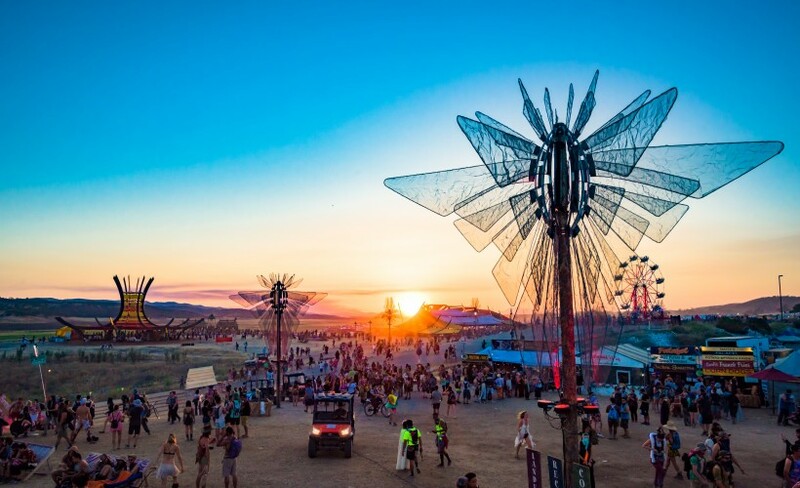 Lightning in a Bottle is changing the festival game year after year with the array of activities to engage in, the family-related environments, as well as the amount of opportunities to expand an individual's horizon, knowledge, and ways of thinking. If you're like me and don't want to wait a full year for an amazing event like this, secure your ticket to Do LaB's Woogie Weekend! Tickets are going fast, get yours HERE.